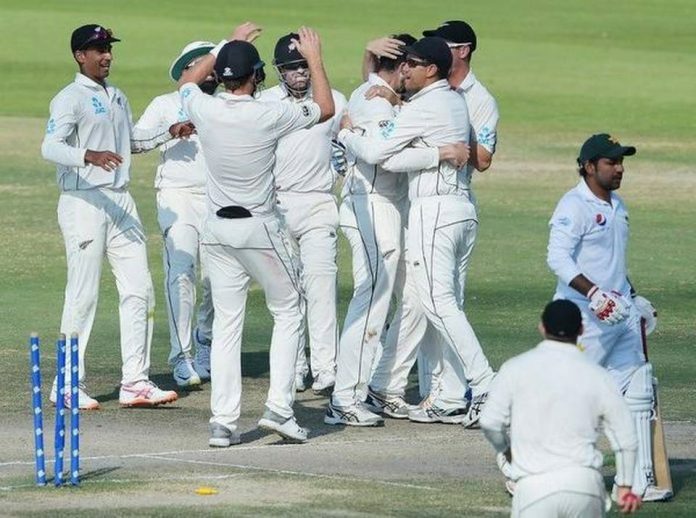 New Zealand defeated Pakistan by 123 runs on the fifth day of the third and final Test on Friday to win the three-match series 2-1. Pakistan were set 280 runs to win, but were dismissed for 156 in 56.1 overs with spinners Ajaz Patel taking 3-42 and Will Somerville collecting 3-52 in Abu Dhabi. It was New Zealand’s first away series win against Pakistan since their 1-0 win in Pakistan in 1969. Pakistan’s Babar Azam top-scored with 51. New Zealand won the first Test by four runs in Abu Dhabi while Pakistan were victorious in the second by an innings and 16 runs in Dubai.